Do you have a game plan for rest? Do you have a game plan for rest? Every day we treat patients who need to be rested to allow an injury to heal. This may be total rest for example for the first few days after major surgery, or this may be relative rest. 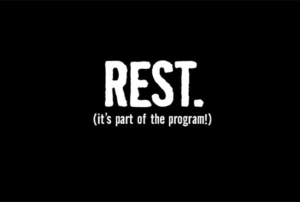 Relative rest involves staying away from any of the activities that currently aggravate your pain. You may for example not be able to run, but you can swim. Whether we are advising a busy parent, a stressed business owner, a weekend warrior, or a professional sportsman to rest, it is always met with a grumble! What is your game plan if you are forced to rest this year either due to injury or illness or to prevent injury or illness? There are some strategies that I believe make it a bit easier when faced with time out. I believe that balance is a key issue. Balance in sports and work. Sports is an extremely social activity for many people. If a runner is injured, they suddenly are not going for their daily run, they fall off the WhatsApp group, there is no time trial in the evening and no race over the weekend. Resting a retired patient from his/ her bowls or golf, can hugely impact his/ her social life. Cross training is often a way in which an active individual can still train while resting from another activity. A runner may still be able to train at the gym, swim or cycle. Try different activities – in many cases it will enhance your performance in your chosen sport, it can prevent injury, and during a rest period it may provide an alternative way of exercising. Don’t only socialise around your chosen sporting activity. Make sure you still stay in contact with friends from other aspects of your life and that you also socialise with friends who you have met through sport, at other events. Be a good friend too! If one of your mates is out with an injury, make sure he/ she is still included in social events and make the time to visit someone who is in hospital or at home recovering. For some of our professional athletes, rest is filled with many fears. Their income is based on their ability to perform. Most people whether they are professional athletes or not, are anxious when they are forced to take time out. Some people wonder if they will ever get better and be able to return to sport/ work at the same level. There is a fear of long term disability and dependence. There may also be a fear of an underlying problem that has not been found. If you have any if these questions regarding your recovery, you need to address them with your health care practitioner. Get advice about any niggles that are worrying you when you are training. It is easier to sort out a niggle than it is to sort out an injury. People are so frightened of being forced to rest that they often keep pushing through until they do injure. A niggle often requires just a bit of advice – on stretching, strengthening, form, equipment, and sometimes just a day off from training etc. Think about all that is going on in your life- work life, family life, training. Sometimes when work is hectic, training can’t be hectic- a lighter training session may be all that is needed to prevent an injury. Think about how you would cope if you had to take a few days off work? Do you have people you can phone to help you out with school lifts? I found a fantastic app last year called Zulzi It allows you to shop from a couple of stores in your area (Spar, Pick ‘n Pay, Dischem, Woolies, Tops etc) and delivery takes place in under 70 minutes. I have recommended this app to many patients (whether they are resting an injury or just too busy to get to the shops!). A lot of our patients who have had to work from home after surgery, have continued to work from home well after their recovery. They find they are more productive as there as less interruptions and they enjoy the flexi-time. Not every job or employer allows you to work from home and not everyone is suited to working from home. But if it is something that can work for you, perhaps it is something to explore this year. Anything that helps reduce stress, boosts your immune system and your health. To the younger generation it sounds incredible that someone may not have tried Uber! 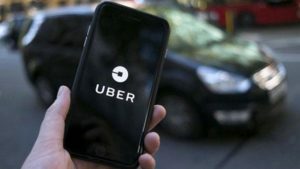 I encourage patients who haven’t used Uber to give it a try before surgery. Do you have older relatives who haven’t tried a ride-hailing app? Give them a hand with installing it and using it the first few times. Uber has become a lifeline for many of our patients who cannot drive after surgery or injury. I always say to patients that if you are out there participating and enjoying life and leisure time, there is bound to be a period of down time required. Whether it is because you went out too fast or you fell off your bike, life doesn’t happen to you when you are wrapped in bubble wrap lying on the couch. So if you have a war wound, it is because you participated. And it is a small price to pay for the lifelong pleasure of an active lifestyle.